Join us at RMIT Gallery in September for an exploration of Bijoy Jain of Studio Mumbai’s practice in Bijoy Jain Studio Mumbai: Making MPavilion 2016. 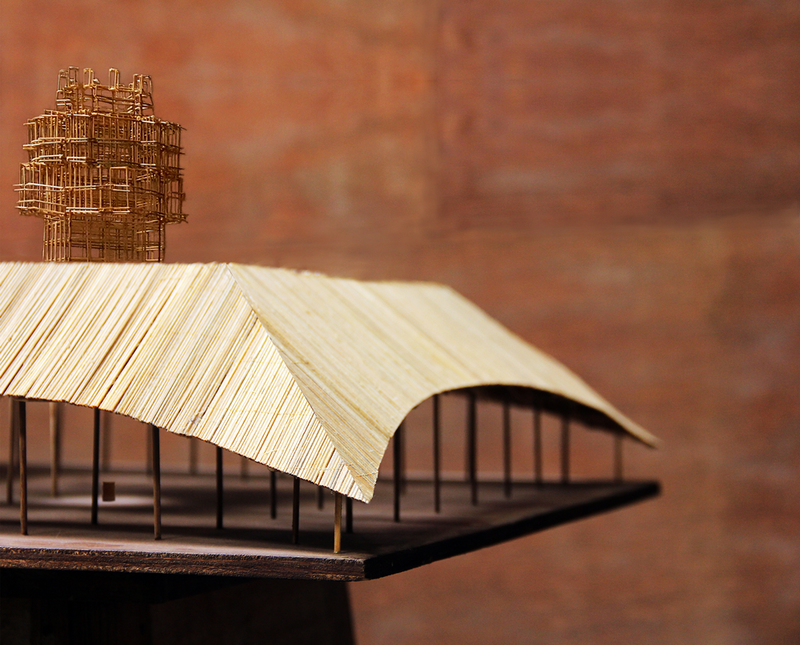 This exhibition presents the creative process in the design of this year’s MPavilion. Bijoy Jain of Studio Mumbai’s unique architectural process is one to be heartily explored. The studio works with local artisans, craftspeople and draftsmen to design and build projects through an explorative creative process. This includes close collaboration in creating models big–and–small, large scale mock-ups, material studies and sketches, film and drawings. The studio’s projects are developed with careful consideration of place and practise while drawing from traditional skills, local building techniques and materials, and the ingenuity that arises from limited resources. Bijoy Jain Studio Mumbai: Making MPavilion 2016 explores the inspirations and processes of making and designing MPavilion 2016 and previews prior to the official launch in the Queen Victoria Gardens on 4 October. The exhibition will feature models, material samples, books, photographs, sketches, videos—all of which have contributed, in big–and–small but equally important ways, to the creation of MPavilion 2016. In the creation of MPavilion, Bijoy is working with traditional materials of bamboo, earth, stone and rope, referencing both the Australian landscape and Indian tradition. The works exhibited at Bijoy Jain Studio Mumbai: Making MPavilion 2016 are exquisite examples of the unique way Bijoy Jain of Studio Mumbai delivers his acclaimed projects around the world and the conception of MPavilion 2016. In addition to samples of materials and modelling sourced from Studio Mumbai, the exhibition will include photography from Australian photographer Nicholas Watt. This exhibition provides a rare insight into the renowned architect’s process—one that has taken place both in Mumbai and Melbourne with local and international collaboration. Bijoy Jain Studio Mumbai: Making MPavilion 2016 is presented in partnership with RMIT Gallery, Naomi Milgrom Foundation, Confluence: Festival of India and celebrates the forthcoming arrival of MPavilion 2016 to the Queen Victoria Gardens, Melbourne. MPavilion is presented by the Naomi Milgrom Foundation, City of Melbourne, Creative Victoria and ANZ.